Let's face it parents, it is time to incorporate technology into our children's lives. We also need to encourage them to also learn off of these devices. I was the first to be on the NO tablets until my son was older. Then Leap Frog came out with a slu of tablets that really perked my interest. I want my son to learn but also have fun doing so. Sometimes the best way to reach a child is to speak their language. 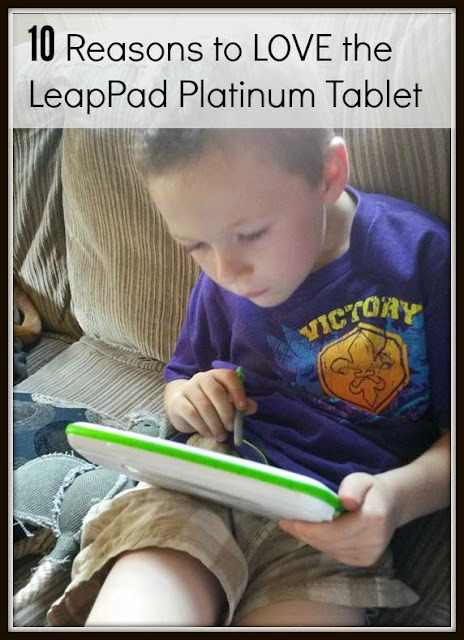 Here are the 10 reason I choose the Leap Pad Platinum! 1. 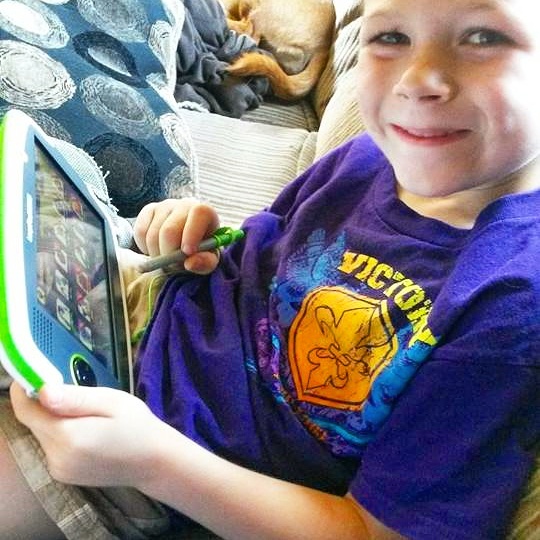 My son, Mclachlan, LOVED the tablet as soon as he saw it! It is stylish, sleek (7” multi-touch screen ) easy to operate and travel with for his little hands. 2. The LeapSearch web browser lets kids explore yet only have access to kid-appropriate content and videos!! 3. It allows you to control the WiFi settings, screen time and app purchases with ultra-secure parent settings. 6. It allows you to take selfies and photos which inspires confidence. 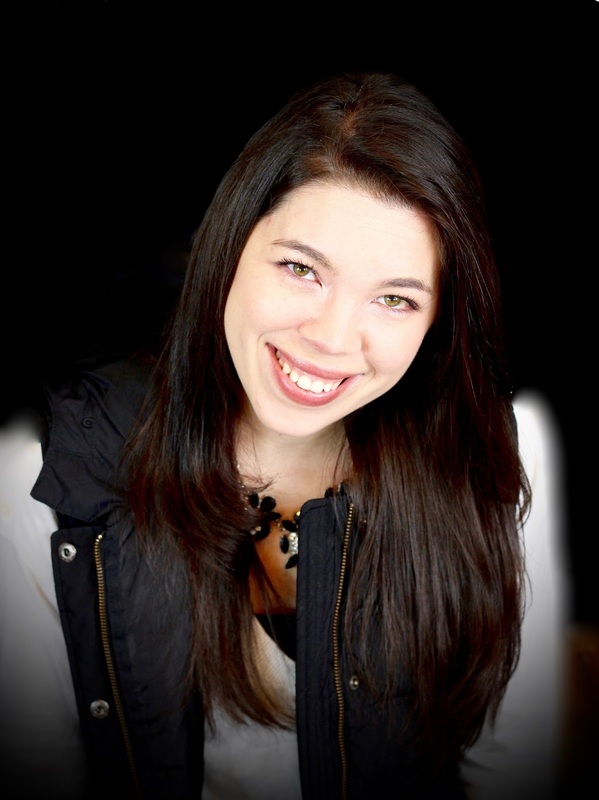 **I received a free products to facilitate my review. I was not required to write a positive review nor was I compensated in any other way. The opinions I have expressed are my own. I am disclosing this in accordance with the FTC Regulations. 7. There is absolutely no set-up headaches that plague us non-techno parents. I love how easy it was to setup and use! 8. A great investment. This tablet will grow with your child. 9. Shatter-safe screen and a wrap-around bumper that has been thoroughly drop-tested, impact-tested and compression-tested in the LeapFrog Quality Lab. 10. The last reason I LOVE the Leap Pad Platinum, I personally give it my Mother's seal of approval. So many products are too loud, cheap, do not promote great skills, refreshing to find a great product!! My youngest had an older version of this and always loved it. 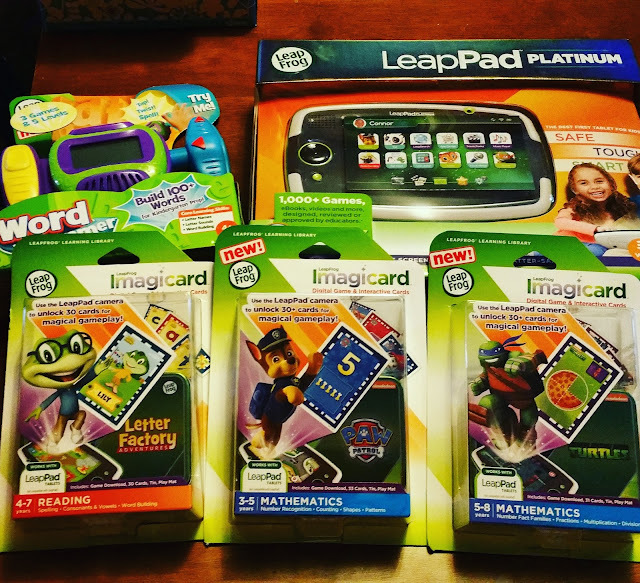 LeapFrog toys are awesome. My niece has one it keep her busy for a very long time...LeapFrog. I'd really love to get one of these for Abby and Halle. The older kids have one but not this type and they absolutely love them. my niece and nephews got ones similar to this last year for christmas and they really do enjoy them a whole lot. I love that this has such staying power. It would be great to get some new learning games for it every once in a while. The Leap Pad system seems like a great way for children to learn. We've been looking at them as a supplement to school so our child can continue learning at home. This is a really fun learning tool for kids! I wish we had this before. I love the LeapFrog toys because they are educational. I will check out the LeapPad for my girls. I love Leapfrog items, they are great for children! I will be checking this LeapPad, sounds like a great gift for my boys. Hope I can get one like this too. For sure my youngest will love it! I have been thinking about this for a couple of my grandchildren. I know they will like it. I think my youngest would love trying the LeapPad. She loves those kinds of things. 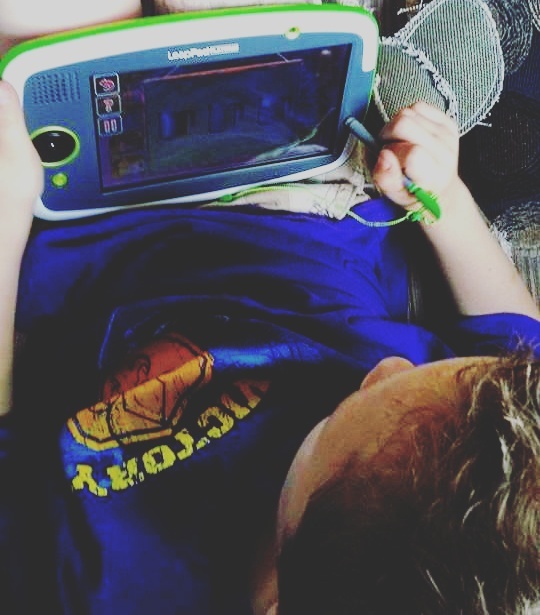 My daughter loved LeapPad products when she was little. I love any fun items that are also educational for kids. My friend is always complaining that my god-daughter is always trying to take her tablet so this may be just the solution for them. This is great for my kids I think my son would love to trying LeapPad. and it is good for him instead of using gadgets.